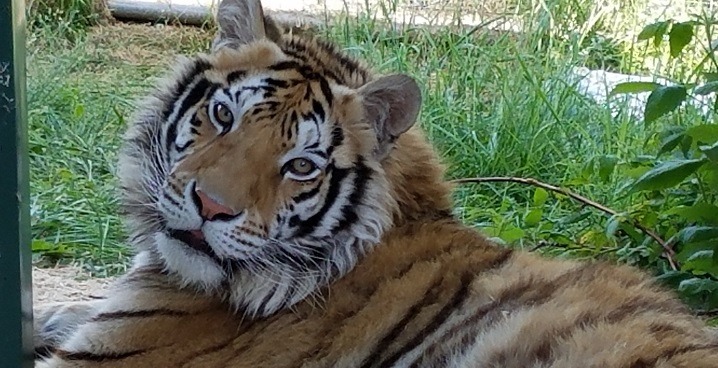 When tigress Daisy first arrived, her future was counted in only days. Barely able to walk or stand, we didn’t know if we could help her. But we had to try. Your ongoing support helped provide her specialty care and treatments for spinal meningitis and gave her a new lease on life. Because of YOU, Daisy’s future is now bright. She’s the happiest little tiger at the Sanctuary and full of energy and joy. Nothing can slow her down. She runs along the fence playing stalk the caretaker, climbs her platforms, and plays with her countless number of toys. You gave her a future she never had prior to coming to the The Wildcat Sanctuary. And with over 100 rescued residents, we need your help in planning for all their futures for many years to come! 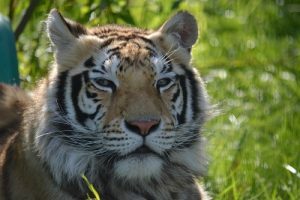 By becoming a member of our Legacy Pride, leaving a bequest in your will or trust for The Wildcat Sanctuary, you assure the cats will be supported for years to come. There are other ways to help, too. 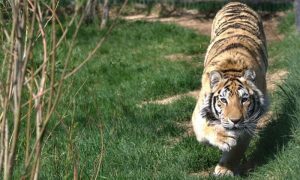 You can list The Wildcat Sanctuary as a primary or secondary beneficiary of all or a portion of your life insurance policy, or of an IRA, 401(k), 403(b). Or you can donate stock anytime. At age 70.5 a gift up to $100,000 from a traditional IRA (NOT Roth IRA or 401K) to a charity that can be excluded from your income taxes and counted as part of minimum mandatory withdrawal for the year. Stocks that you have held for held one year or more can be transferred directly to a charity without a tax consequence to the stock owner. A CD, or bank account can be given to a charity without probate by designating it as “Payable on Death” (POD) to the charity. This designation does not alter the owner’s ability to use the funds during the owner’s lifetime. Planning for these gifts now, to be distributed after you’re gone, leaves a legacy of kindness and compassion for so many wild cats in need. It’s one of the most important gifts you can give. If you’d like more information about our Legacy Pride planned giving, please email me at cat@wildcatsanctuary.org. I’m happy to talk with you about it. You’ll find a Letter of Intent to sign HERE you can also mail to us at PO Box 314, Sandstone, MN 55072. Again, thank you for your selfless compassion for the animals. I simply can’t rescue and support all the cats we do without your help.